Coming into their regular season opener at the Superdome last weekend, the reigning NFC South champions started the 2018 year off with an 0-1 record, falling to the lowly Tampa Bay Buccaneers in a 48-40 game that wasn’t as close as the score indicated. Thanks to a series of bad defensive mistakes, both up near the line of scrimmage when guarding against the rush, and on the back end that saw the Bucs receivers expose them on a series of long gains downfield, the Saints’ defense looked more like it did in the 2014 season than it did in 2017. “We needed this, we needed to get to slapped in our face one good time to see that we’re not on the level we think we’re on. But we’re gonna get better.” said Marshon Lattimore. Lattimore was a Day 1 starter and impact player on the Saints’ rejuvenated defensive secondary last season, establishing himself as one of the most productive and effective features on any defense in the NFL’s 2017 class. He led all Football rookies with five interceptions, one of which he scored for a touchdown, adding 52 total tackles on the season, forced a fumble, and broke up 18 passes, a team high overall and the most among rookie defensive players. He did not allow a touchdown to be scored in his coverage. The Saints’ cornerbacks did not have a good outing on Sunday. Starting on the right side, Ken Crawley surrendered a number of passes to the Bucs receivers downfield as Ryan Fitzpatrick connected on 21 of his 28 passes for 417 yards and four touchdowns, while Lattimore was on the wrong end of a 50 yard touchdown from Fitzpatrick to Mike Evans. In all of last season as the eventual Defensive Rookie of the Year, Lattimore did not allow a single touchdown in his coverage. 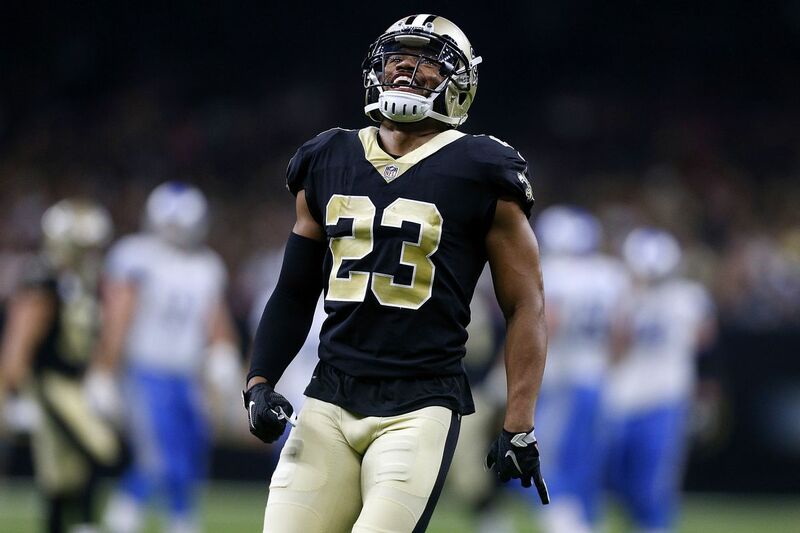 2017 defensive rookie of the year Marshon Lattimore was a victim a few times on Sunday and the defense as a whole said the performance in the Dome was eye-opening, but Lattimore isn't too concerned. "We couldn't stop anything. That's not going to get us down though. We still together, we still brothers," Lattimore explained. "At the end of the day we got to go back and see what we did wrong and just step it up. That's all we got to do. We not going to fall apart because of this. We still tight. We still a tight group so it is what it is. We good." Defensive end Cameron Jordan said, "We've got a wake-up call for sure. Good for us, it's week one that we can address it this early. We're going to do just that." Now, the Saints need to jump start that formula before things get out of hand.